I’ve finally bought StitchMastery’s full program, and I’m having a lot of fun learning just how much faster it’s going to be to make a chart! The charting for the Travelling Landscape Shawl is more intense than anything I’ve tried so far – not complicated, but not small, rectangular grids that show how to knit a repeat. I really, really want to get the pattern out to you guys as soon as possible, but I know I have to do it right. Slow down, breathe, make it as error free as possible and have a few people test knit it. So I’m doing the work of making things as clear and easy as possible. Ironically, making things as clear and easy as possible isn’t always clear or simple. So in my knitting this week I’ve reached for things that were brutally simple and easy to pick up and put down. 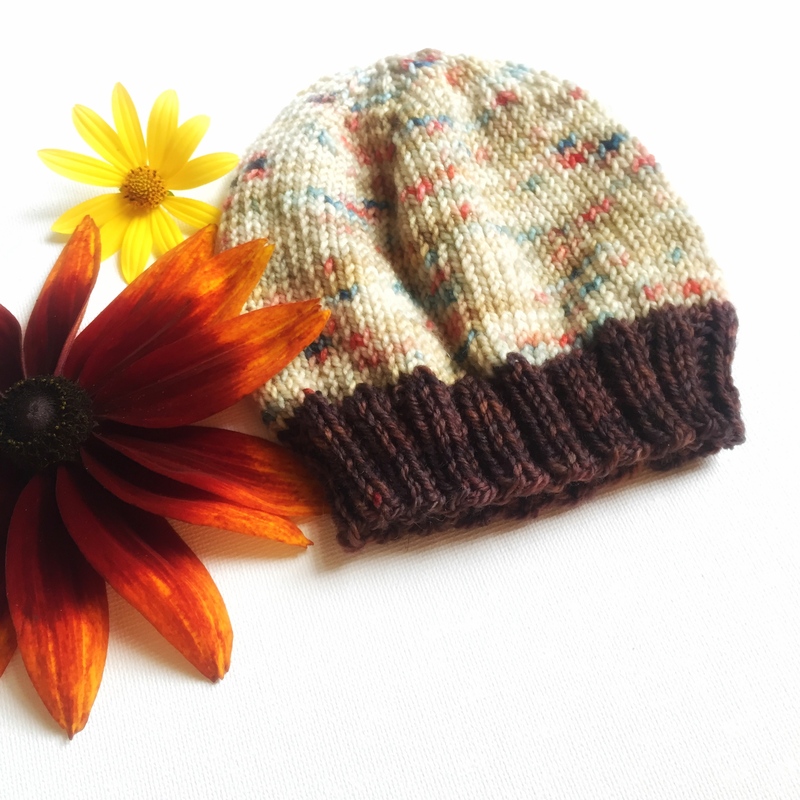 A simple baby hat knit from leftovers of Tanis Fiber Arts and Gynx Yarns, for instance. So satisfying to see two colours come together to make something I’ll be so proud to give away. Do you have a go-to pattern or project that helps you through complicated weeks? ← How to end it? Dishcloths in funky colours to cheer me up!